Spring Riots in the Streets! 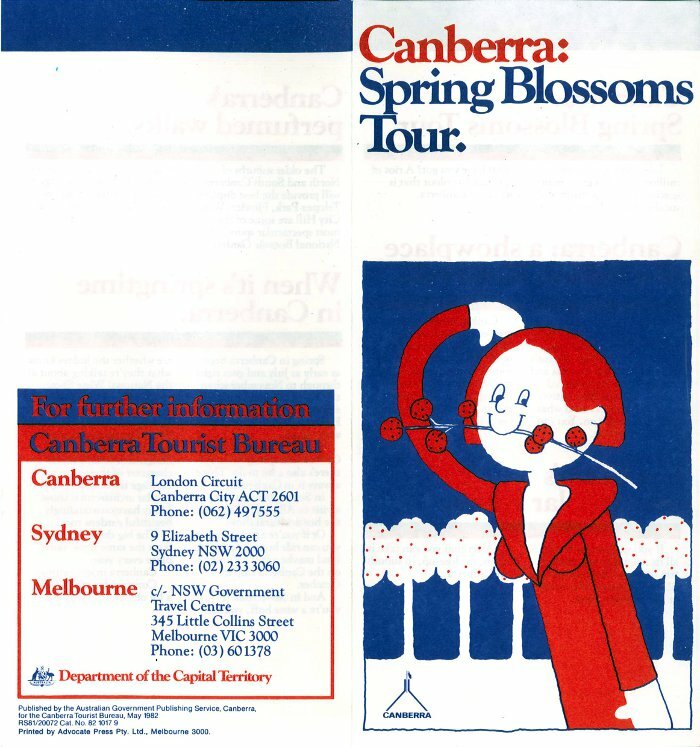 Floriade is billed as “Australia’s Festival of Spring”, but before its spectacular beginning in 1988, Canberra perhaps more modestly celebrated its spring blossoms. The original Floriade was intended as a one-off bicentennial celebration, but such was its success that it became an annual event. 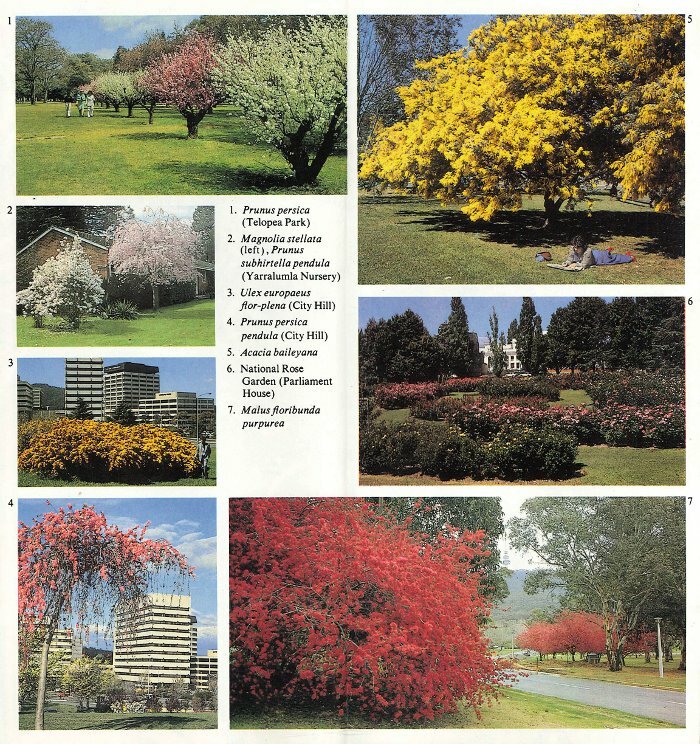 The idea for a flower festival didn’t come out of nowhere, though, and Canberra has been celebrating its “riot of spring colour” for many years. 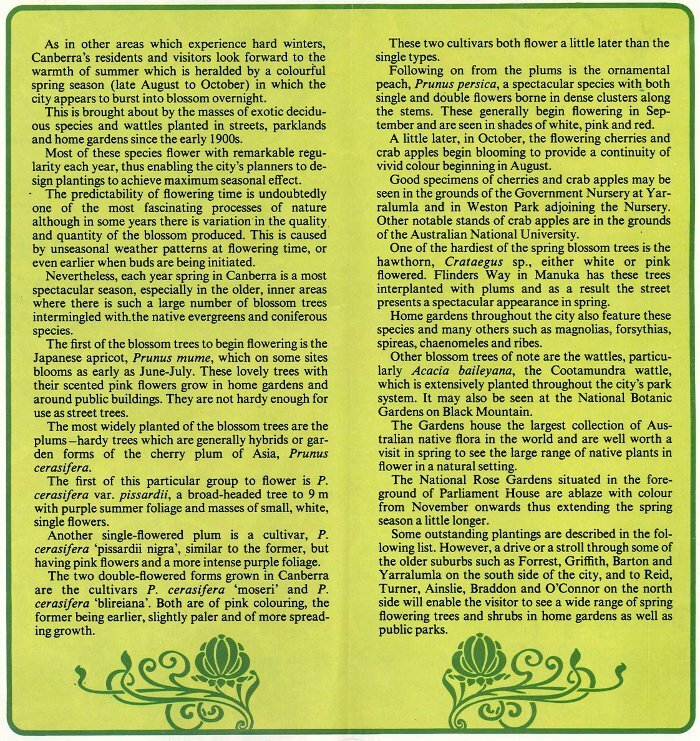 Some of the brochures touting tours of the garden city during spring form this month’s ArchivesACT Find of the Month. 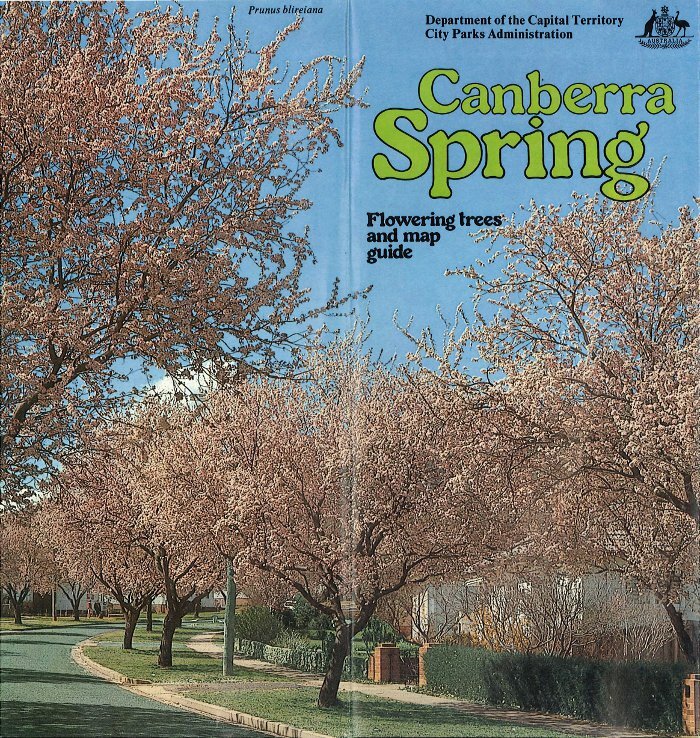 The first of these brochures is 'Canberra Spring : Flowering Trees and Map Guide' published in 1981. 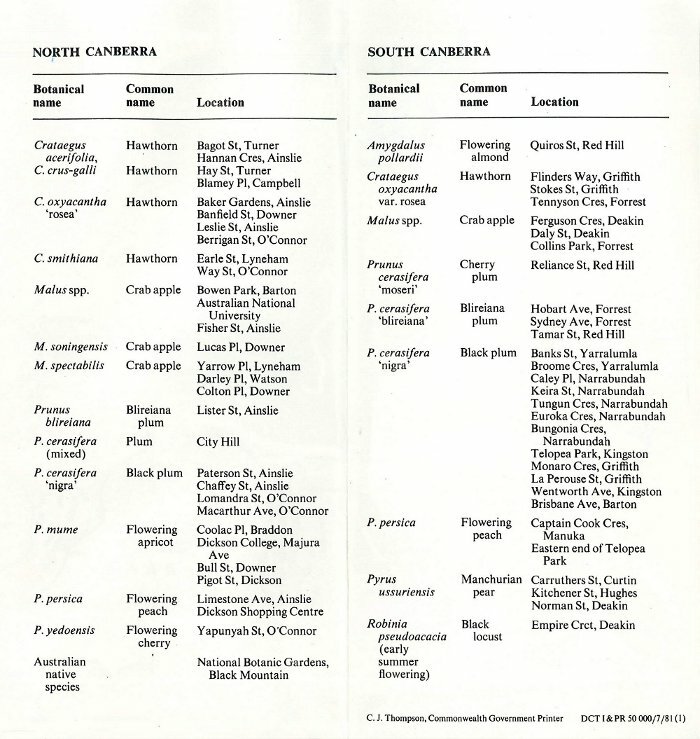 This guide identifies many flowering tree species and suggests locations to view specimens. With the help of the guide you can find the crab apples in bloom at Bowen Park and the plum trees on City Hill. How the residents of Quiros Street in Red Hill felt about the hordes who presumably descended to view the flowering almonds is perhaps for another day. 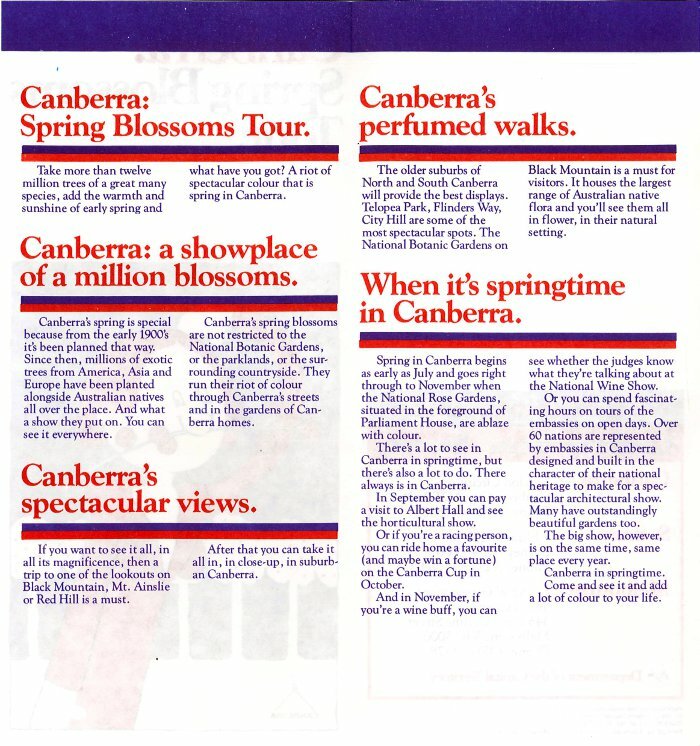 The brochure gives some insights into why Floriade became the huge success that it is, noting that the “remarkable regularity” of the flowering each spring allowed gardeners to plan to “achieve maximum seasonal effect”, so that the Canberra “appears to burst into blossom overnight”. This brochure was produced in conjunction with the federally funded ‘Life Be In It’ campaign that ran from 1977 to 1981. Riots in the streets? Floriade sounds much more dignified.